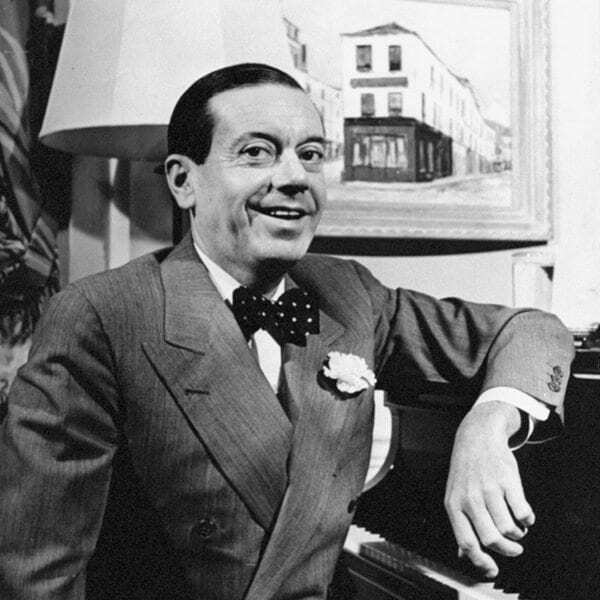 Dilettante, hedonist, elitist, snob: Cole Porter was called all of them during his glittering yet troubled life. Whatever detractors may have said about him personally, Porter’s reputation as a musical genius has never been questioned. The lecture surveys Porter’s life on Broadway and in Hollywood, covering 40 years that produced 33 stage works and the music for 23 films. Rare archival film clips and recording of original cast members, including Ethel Merman, Fred Astaire, Louis Armstrong, and Bing Crosby are featured, along with Porter himself singing and playing “You’re the Top”—which he was. Through the use of a grand piano and a PowerPoint presentation, the audience will sway with the songs that people enjoy humming, masterworks like “Night and Day,” “Another Op’nin’, Another Show,” “Begin the Beguine,” “I Love Paris” and many, many more. American music specialist Robert Wyatt will walk you through Cole Porter’s dramatic and fascinating life.